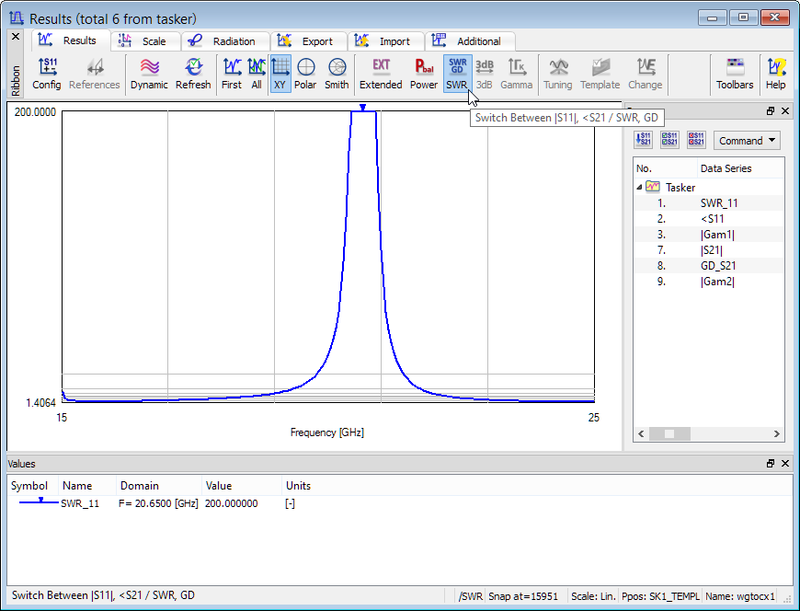 QuickWave enables calculation of standing wave ratio (SWR) and group delay (GD) curves versus frequency when S-Parameters post-processing is active. The SWR is calculated for the source port and the group delay, between source port and each load port (note that in case of Smn calculation this results in the SWR obtained for each port and the group delay between each two ports). Both those curves are displayed in the Cartesian coordinates. 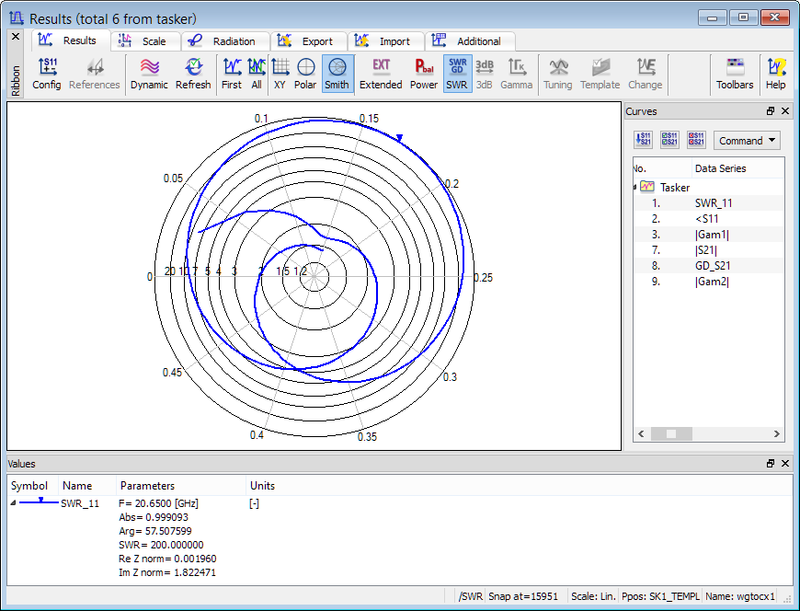 Additionally SWR can be displayed on a Rieke form of the Smith chart and Polar chart. In these options the quantity plotted is equal to SWR in magnitude but with the phase of S11. 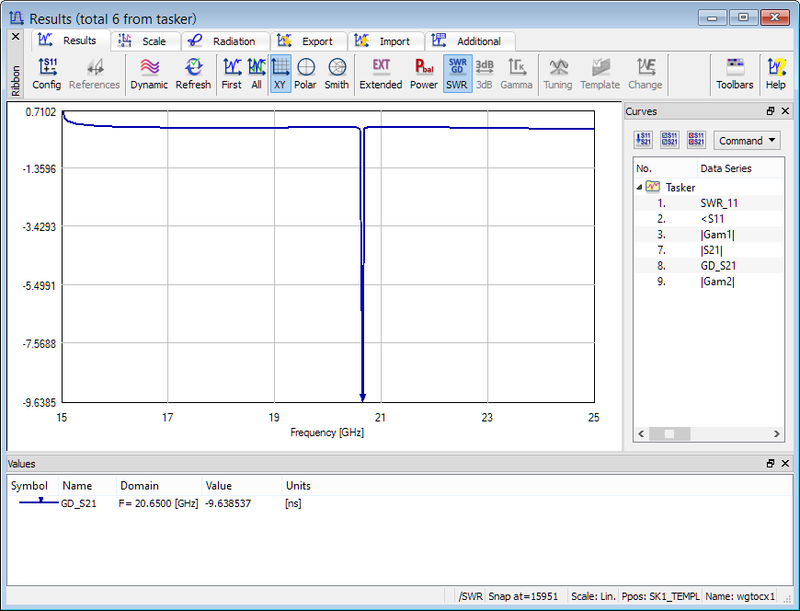 See also online documentation about Frequency dependent Standing Wave Ratio and Group Delay.